Offer a token of your undying love with this breathtaking bridal ring set. The stunning engagement ring showcases a center of four princess-cut diamonds set into a 14-karat yellow gold band, studded with sparkling round and baguette-cut side stones. 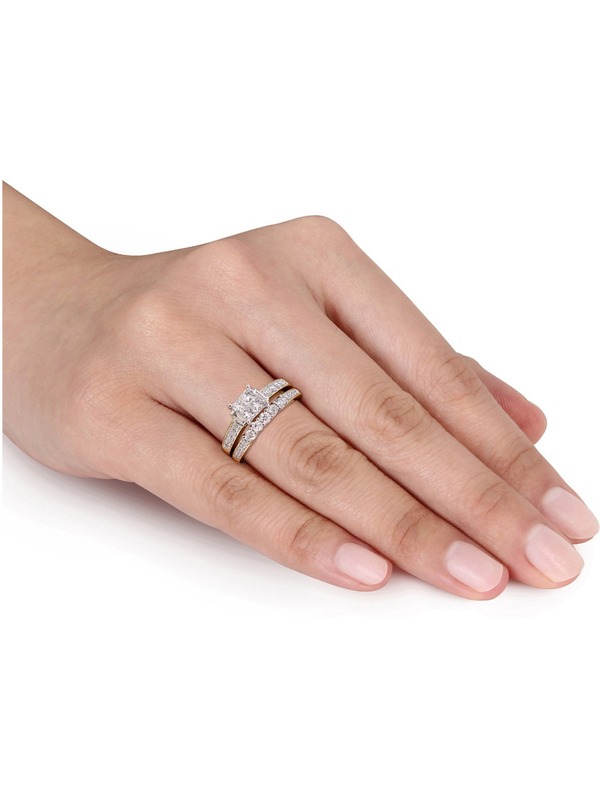 The matching anniversary-style stackable wedding band is set with smaller, yet equally dazzling, round-cut diamonds designed to complement your partners grace and beauty.